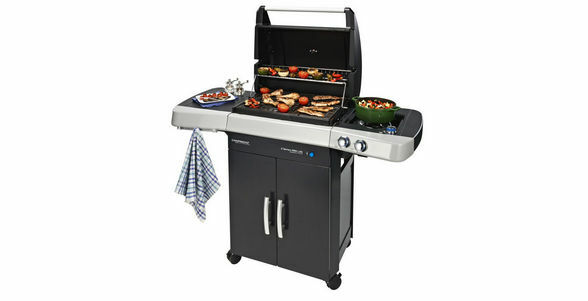 The 2 Series RBS LXS gas barbecue will effortlessly become the heart of any outdoor entertaining area. Food connoisseurs will appreciate the Even Temp™ heat distribution and side mounted RBS® ceramic burners that promote healthy cooking with fewer flare-ups.Lazy chefs will also enjoy easier cleaning thanks to Campingaz InstaClean® technology. The integrated Culinary Modular Barbecue Accessory system ensures you’ll become a barbecue maestro, tantalising taste buds and cooking up an international storm in record time.